Big news! 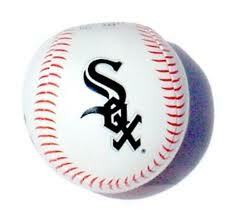 The Chicago White Sox are having their first ever peanut allergy-friendly game on April 17, 2012 at 7:10 pm. They're playing the Baltimore Orioles and approximately 200 seats are available. It's expected seats will go fast, so order your tickets as early as possible. No peanuts will be permitted in the reserved peanut allergy-friendly seating area. Thank you to Jason Nierman for all of his efforts and for sharing this exciting news with us!